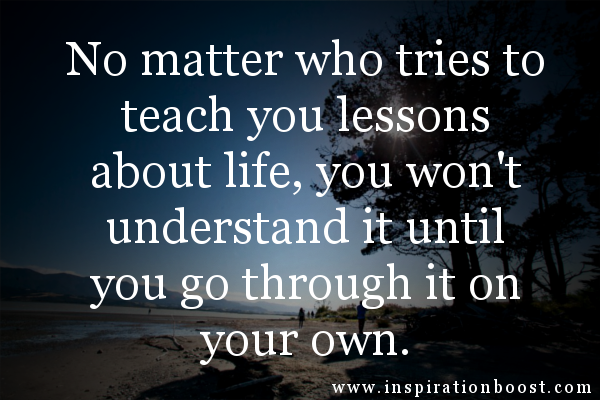 In life, we have lessons to learn. We need to pass through them to be a better version of ourselves. We need these lessons to be a better person as time goes by. Lessons are considered “learned” when we stop doing the same mistakes we had before. We become stronger in each lesson life teaches us. It doesn’t matter whether we pass or fail our tests in life. As long as we charge it to experience, we can never go wrong in treating our lessons in life as an accessory to beautify our physical, emotional, and spriritual life. Mission : To teach the best lessons in life and pray to those who might be experiencing the same issues. To encourage, strengthen and value one soul at a time. Who should have Full Control Over our Lives?